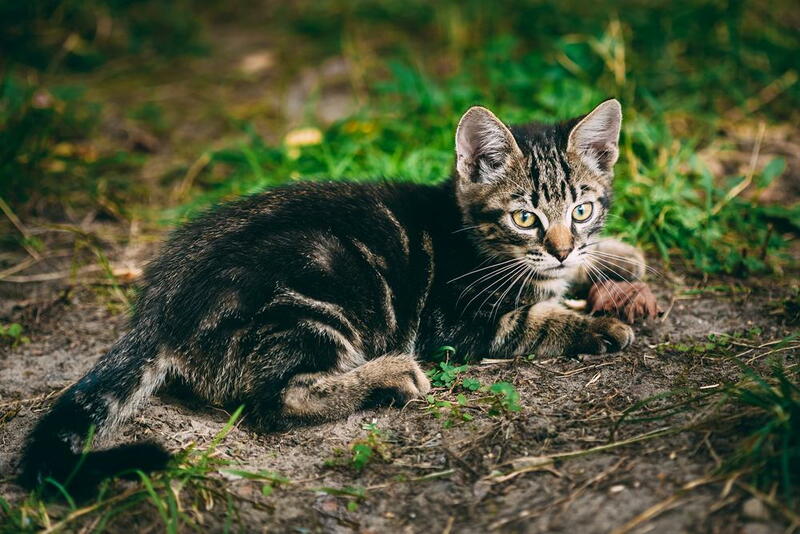 When the warmer summer months arrive, pet owners should think about protecting their pets against outdoor parasites like fleas, ticks, heartworms and other types of worms. These parasites can be annoying, and some can even threaten the life of your beloved pet. At The Animal Hospital at Lake Brandt, we offer heartworm treatment products that can help your pet avoid these pests. Heartworms are small worms that are transmitted to animals through the bite of a mosquito. Mosquitoes may feed on the blood of infected animals, and pass the immature worms to your pet. The heartworms then migrate to the heart and lungs and reproduce, causing severe illness. Heartworm prevention drugs are available in oral form, spot-on treatment, and injection. Cats also need approved heartworm prevention medication in the correct dosage. Your vet in Summerfield can advise you on proper prevention of heartworms for your dog or cat. You should also protect your pet from other types of internal pests like hookworms, roundworms, and whipworms. Fortunately, oral heartworm medications will also protect your pet against these dangerous internal parasites. Pet owners can choose from a wide range of flea and tick prevention products. Collars, sprays, powders and spot-on treatments are popular and inexpensive. Oral medications that are given once each month are available flea and tick control easy. Your Summerfield veterinarian can advise you on the best type of flea & tick prevention product for your pet’s needs. The veterinarians and staff at The Animal Hospital at Lake Brandt work hard to provide superior veterinary care for their patients in Summerfield, NC, and surrounding areas through all stages of life. Call The Animal Hospital at Lake Brandt today at 336-643-2229 for an appointment to learn more about the options for protecting your pet against heartworms and other outdoor pests.